Real estate activity shows no sign of slowing in the Bay Area. Two new reports paint a promising picture of real estate activity in the Bay Area and the nation in 2013. Bay Area homes sold in January at the strongest pace in six years and posted their 10th straight month of year-over-year increases in median sale price, according to DataQuick, a real estate research firm. Separately, the mortgage agency Freddie Mac said there is “still room for substantial growth in housing and housing-related industries” as U.S. markets continue to recover. “As the broader economy heals, expect to see more good news with house prices continuing their recent upward trend and home sales and housing starts continuing to post strong growth rates,” said Frank Nothaft, Freddie Mac vice president and chief economist. The DataQuick report said Bay Area home sales in January were up 3.2 percent from a year earlier, thanks to a big spike in San Francisco. Sales there rose 27.9 percent, followed by Napa County (16.1 percent), Alameda County (9 percent), and Contra Costa County (4.5 percent). Sales were down 5.2 percent in Marin County and 5.9 percent in Sonoma County. The median price paid for a home in the Bay Area was $415,000 in January, up 27.3 percent from a year earlier. Alameda County had the biggest price increase, up 30.5 percent, followed by Contra Costa County (28.3 percent), Marin County (22.4 percent), Sonoma County (19.3 percent), San Francisco (16 percent), and Napa County (14.3 percent). 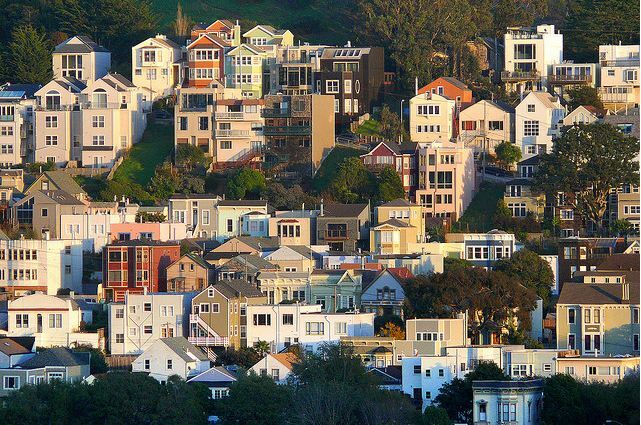 Across the Bay Area, the median sale price rose 27.3 percent. Distressed property sales – a combination of foreclosure resales and short sales – accounted for 37.7 percent of the resale market in January, down from 55.6 percent a year ago. Jumbo loans — mortgages above the old conforming limit of $417,000 — accounted for 38 percent of last month’s purchase lending, up from 23.6 percent a year ago. Last month absentee buyers – mostly investors – purchased 26.7 percent of all Bay Area homes, up from 25.2 percent a year ago and an all-time high. Buyers who appear to have paid all cash – meaning no sign of a corresponding purchase loan was found in the public record – accounted for 28.5 percent of sales in January. That was down from 29.8 percent a year ago. The typical monthly mortgage payment that Bay Area buyers committed themselves to paying last month was $1,474. That was up from $1,233 a year ago. Next PostNext Zillow, Trulia, Move: Show Us the Money!